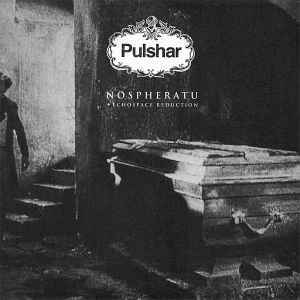 Nightmarish, dreary, haunting masterpiece of an EP, this is Pulshar's finnest hour. The original's dubby delivery burrows deep into your darkest fears while the hipnotic, trudging vocals push you over the edge straight into terror's lair. The Echospace Reduction on the flip side is an 11 min long, stripped-down dub-suite, still carrying the unyielding 4/4 rhythm, while transforming all the emotions into a nebulous, murky, unconsolable haze. And then there's the simply stunning cover art, with stills from the original 1922 Nospheratu, Murnau's chilling adaptation of Stoker's Dracula.